In this interactive object, learners apply their knowledge of the Association of Records Managers and Administrators (ARMA) filing rules by organizing and filing records alphabetically, numerically, and by subject. 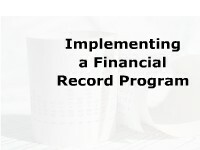 Learners read and listen to tips for organizing farm-related financial information. 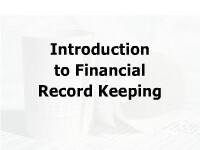 In this interactive lesson, learners read the rules for filing business records and then test their knowledge in a series of exercises. Immediate feedback is provided. Students read about foods that are high in nutrients compared to the number of calories. 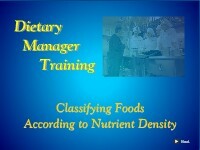 They identify if certain foods have high or low nutrient density.